1.The store provides you immediately after payment - Account. All accounts have the form - LOGIN: PASSWORD. 2.The language was not checked. If you are not satisfied with the language in the game this is not a reason to replace or return! 3.Access to the mail is not provided. 4.Many games may contain other games, such games are a bonus. 5.All operations for the change of data are carried out by the buyer. We do not provide methods for changing data. 6.We are not responsible for your actions. Can you change the password / resold / gave the friend / computer viruses / etc ..? 7.Refund only if the seller is unable to make a replacement within 72 hours from the date of purchase, otherwise there is no refund. 8.Claims and replacements only with the provision of video purchase and data entry in the account (Recommended programs: for recording - http://www.bandicam.com/en , for downloading - http://www.dropmefiles.com ). We kindly ask you not to leave feedback "BAD" before solving the problem, just write us on the site: https://www.oplata.info . Seller will reply to your message in 72 hours, usually reply to in 24 hours. 2. We launch and authorize the details we have from us - LOGIN: PASSWORD. 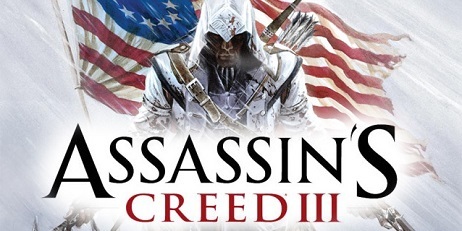 Assassins Creed 3 - the continuation of a well-known series of action games, developed by Ubisoft studio together with Ubisoft Singapore. The third part takes place in the colonial America of the 18th century, during the war for US independence. Players will take on the role of Connor, the son of a girl from the Mohicans tribe and the English torrent-games.net colonist. The hero became a fighter for freedom and accepted the credo of the Assassins after the enemies burned their home. Combat system Assassins Creed 3 allows you to use two weapons at the same time, thereby attacking and counter-attacking several opponents. In addition to the standard assassin tactics, Connor owns various firearms, as well as bows and tomahawks.